Economical Insurance clients looking forward to cashing in on demutualization might have to hold on to their shares in the company for nearly six months. In Economical’s demutualization proposal, one restriction on common shares (issued as a benefit to demutualization) is that they cannot be sold for 180 days after the company ceases to be a mutual, or 180 days after an initial public offering of stock, whichever is later. Common shares in Economical, issued as demutualization benefits, are subject to “market stabilization restrictions,” Waterloo, Ont.-based Economical said in a recent policyholder information circular. None of this is etched in stone. The circular is a proposal, subject to approval from both mutual and non-mutual policyholders, for Economical to convert from a mutual insurer to one that issues shares. It’s essentially the same process that Manulife, Clarica, Canada Life and Sun Life went through nearly 20 years ago. 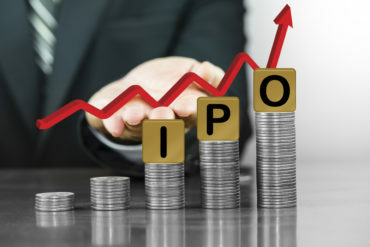 Trading restrictions are common in initial public offerings of stock “to prevent the sale of substantial amounts of shares in an uncontrolled manner in the period following the offering, which could negatively impact outside investor confidence and reduce the IPO price and the price that the shares might otherwise trade at after the offering,” Economical said in its circular. Once they can sell their shares, Economical’s proposal says a “share-selling service” will be available to clients, who will not have to open their own brokerage account. Regulations passed in 2015 essentially stipulate that once a property and casualty insurer demutualizes, the company becomes publicly traded. Economical’s demutualization plan will be put to a vote of mutual policyholders on Mar. 20, 2019. Unless two-thirds of the company’s 878 mutual policyholders vote in favour of demutualizing, the insurer will remain a mutual. If the March 20 vote passes, several more steps are still needed before Economical can demutualize. It would be Canada’s first federally-regulated property and casualty insurer to do so. If your client is insured by Economical, there is no way of knowing for certain how much that client will make if the firm demutualizes. “The average eligible mutual policyholder could receive demutualization benefits with an approximate value of $300,000 to $430,000,” Economical said. Non-mutual policyholders can also benefit from demutualization but they would receive much less. The estimates are based in part on an estimate of how much Economical would have been worth if it had become publicly-traded in May, 2018. “small lot” shareholders, or those who would get less than 200 shares in the firm.